The Fabulous Fund Fair is one of London Fashion Week‘s hottest parties. 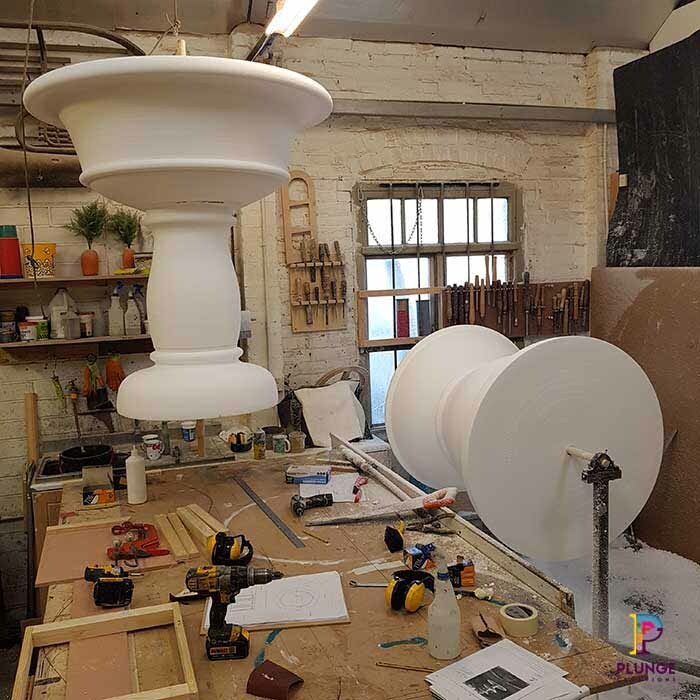 As the centrepiece to this year’s fundraiser, My Beautiful City commissioned Plunge to design and fabricate a 5 metre tall, Trevi inspired fountain. Now in its sixth year, the gala event raises money to help support families who have children with special needs through Vodianova’s charity The Naked Heart Foundation. The charity has, over the last 14 years, managed to raise over £40 million for families from the UK, Russia and France. Each year the party has a different theme. 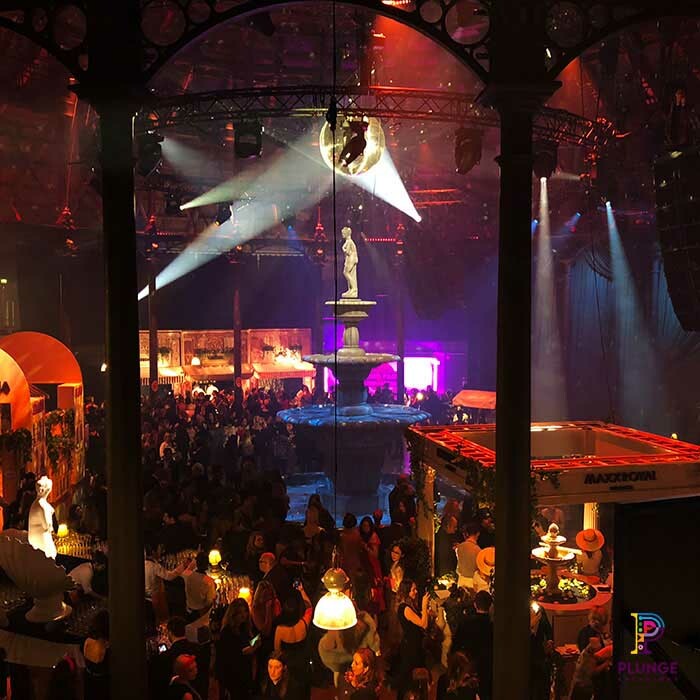 This year the Roundhouse was transformed into a Roman city scape, inspired by Federico Fellini’s La Dolce Vita. 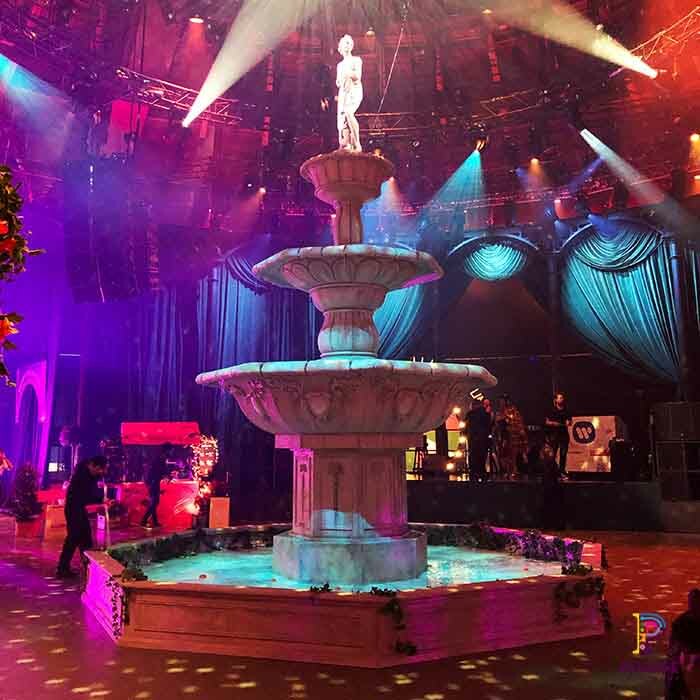 Centre stage in the Main Space was the 3 tier, 5 metre tall working water fountain. 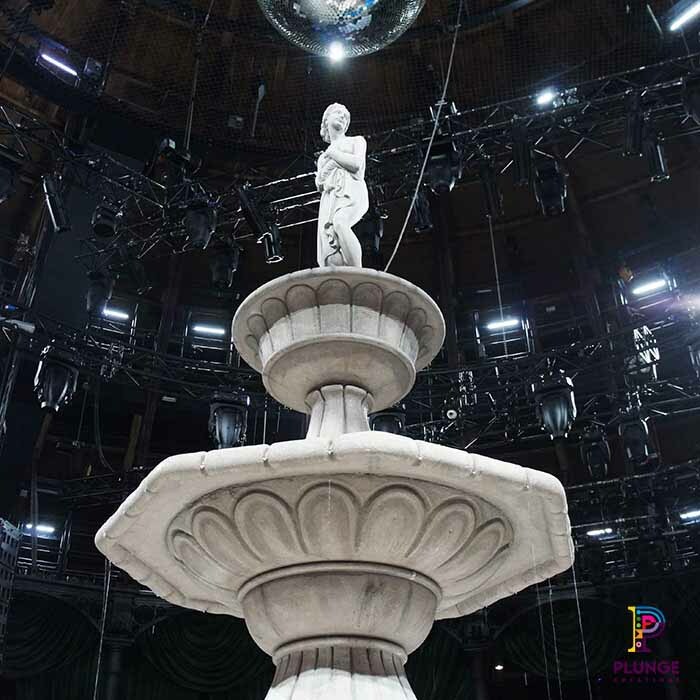 Constructed out of polystyrene and plywood, the water fountain was topped with a statue of Venus. The team skilfully art worked the fountain, transforming the white polystyrene to have an aged concrete effect.